Intrigued by this intoxicating combination of nostalgia, expertise and luxury, we spoke with Emma to find out more. Where does your passion for perfume come from? 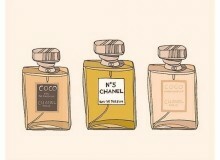 For me everything is about the scent and has been since I was a child. I am endlessly intrigued about aroma and its effect on the exterior and interior. 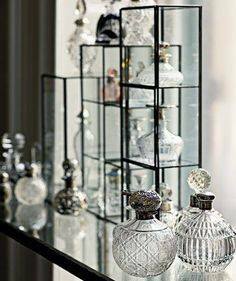 Perfumery gives me the opportunity to explore that interest to its full. I don’t really have much routine. I will do what needs to be done on a day-to-day basis and that could be lots of different things. The application of scent as a sensory stimulus is just beginning to be recognised and many diverse projects and collaborations are appearing. I am always working in some capacity. Fleurage began with the lament of a lost beauty and art in personal scent. What is consistent is my recording of any scent explorations and ideas. I always carry a notebook and have stacks of them everywhere filled with notations about scent. I try to get outside. Music and beautiful things that stimulate my creativity are important and I try to keep my world free of the mundane and depressing. Tell us more about your team. What roles do they play in Fleurage? The Fleurage team is the core of Robert and myself surrounded by a group of dedicated people who include muses, mentors, advisors, writers, suppliers, friends, family, perfumers and loyal clients. Only Rob and I are the constants with his dedication to design and media and me creating. Everyone else is more like the fragrant smoke that perfumery is named after. They surround us drifting in and out of our evolution but all contribute to our success in an organic ever-changing way. What do you love most about Melbourne and Melburnians? Melbourne is a rich city full of secret places and hidden wonder. I like to think we contribute to that feel. There are many people in Melbourne quietly going about their art and making it their livelihood. It is a place that attracts a lot in from the outside and that is where most of our clientele are. Outside seeking the inner magic of the area. What French connections do you see in your work? While I don’t automatically put myself in the Francophile category, the style of perfumery I am trained in and prefer to use is particularly French. I also have a deep love of French Art Deco style and late Art Nouveau. Paris in the late 1800s and early 1900s is a time I would have loved to be a part and what we have modeled our aesthetic on. What is it about perfume that seems so French? The French lifted perfume away from the cultural and spiritual influences and placed it into the realm of elite fashion and style. They refined it to an art form that had as many facets as a creator could dream. This gave perfume a new attraction. It was individual, refined and luxurious and told the world you were special. It was aspirational and beautiful. The scents spoke about you and for you without having to say a word. Mysterious, sensual, stylish, refined, bold and individual. I believe we associate these qualities with all that is French. The French lifted perfume away from the cultural and spiritual influences and placed it into the realm of elite fashion and style. Tell us about your customers. What do they look for at Fleurage? The Fleurage customer is not content to be one of the crowd. They would dare to be different and seek a sense of authenticity and story. They are seekers of more. They believe in their hearts they (or someone they know and love) deserve to be special and apart from the mainstream. What are the biggest misconceptions about perfume and scent? There is a book in this answer but I will keep it short and specific. Most people don’t really understand how perfume is made, what it is made of, where it actually comes from and how to wear it. That’s why I designed the ‘Create Your Own Perfume Experience’. 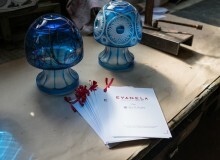 To educate about the processes involved in perfume creation and the relationship of scent to the self. 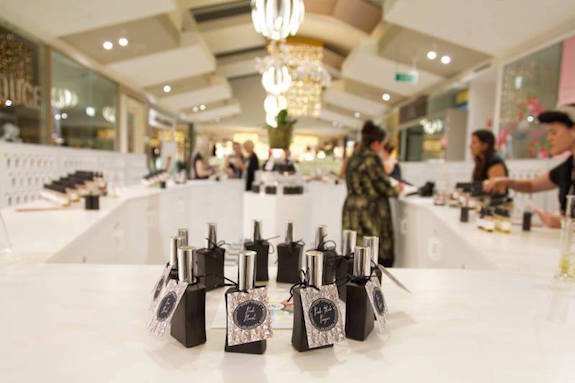 What tips can you give our readers when looking for perfume? Educate yourself about your own tastes and how to communicate them. Be guided by what you love and nothing more. The trick is to know the difference between what you really love and what you think you should love. Trying a perfume on is the key to knowing whether it is the one for you. What is your go-to scent? What perfume do you reserve for special occasions? I wear perfume to match my need. So I reach for many fragrances for different reasons. I also wear whatever I am creating to test it out or none at all so it doesn’t interfere with the process. I will always go for variations on what I wear best which is floral wood. 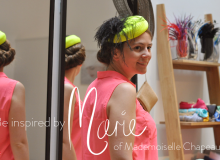 What ‘Frenchness’ – if any – do you seek out here in Melbourne? Anywhere with quality cheese and pastries works for me but a favorite would be Bistrot d’Orsay on Collins street. I have also enjoyed the little place on Hardware Lane called Le Triskel (now La Petite Crêperie) and with our recent move I look forward to trying Embassy@97 in Williamstown. I confess I am a bit of a fan of home cooked French food and have been spoilt by French friends. 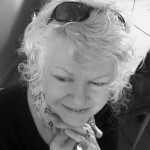 Thank you, Emma, for taking the time to speak to us at MyFrenchLife™. 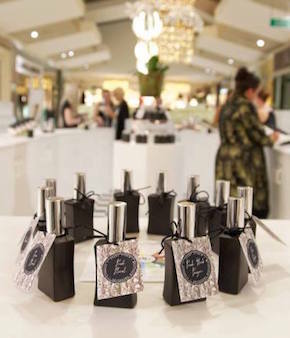 Do you think there is a lost beauty in perfumery today? What are your favourite scents? Let us know in the comments below! 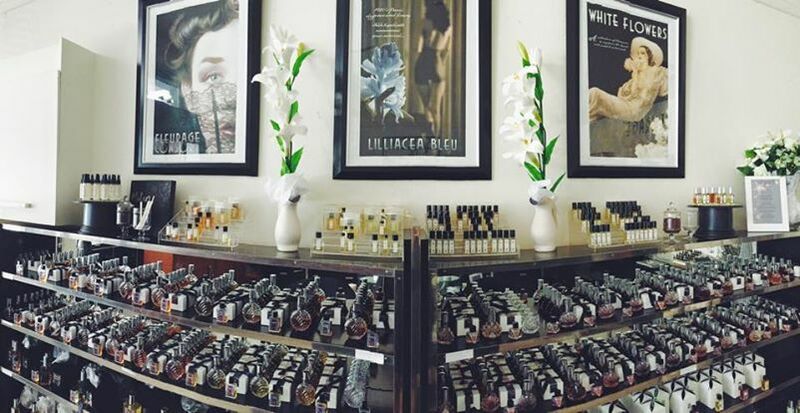 You can visit the Fleurage Perfume Atelier in Williamstown VIC 3016 or at their online store. All images courtesy of Fleurage.